Education is important for everyone but sometimes schooling can get a little boring for the little ones. The main purpose of any school is not just to provide proper schooling to students but is also to improve the overall productivity by spicing things up. School admins and teachers have started working on various academic and extra curricular school activities so that students could enjoy education more. Going through the same routine on a daily basis can be very hectic and boring for academic institutes trying to maintain or improve the school’s productivity. Before jumping into conclusions, it is important to manage time and that can only be possible if schools and colleges are using the online school management system. The digital system provides admins with an easy way to control and manage all core departments present in an academic institute. Once the entire administration process has been automated, schools and colleges can easily put all their energies working on various other school activities. There was a time when teachers used to sit for extra hours counting, assembling and checking various exams and appraisal reports. Today, all that has been taken care of by the software solution providing the teaching staff with plenty of time to work on various school activities. Students are young learners with feeble minds and they deserve to be provided with sufficient time to relax and take their time off studies. In situations like these, academic institutes arrange for various sports events, talent shows, debating competitions, spelling bees and so on. Such types of healthy activities are good for students of all ages. If a school follows the same educational pattern throughout the academic years, the work environment will get boring and most of the students will fail to be productive. Academic institutes with limited resources need to first upgrade their methods of administration and then introduce various school activities. If half of their teaching staff is busy counting exams and keeping track of student attendance structures, it will become difficult for the entire institute to be productive. What Are The Benefits Of School Activities? Allowing students with spare time to play board or electronic games helps improve their motor skills. Some types of games and activities also help teachers develop patience and maturity and also improve focus and memory. When students are being provided with something different than education, they develop great confidence and self-esteem. Various extra-curricular activities also provide young learners with a chance to be creative therefore, refining their brain cells. Any educational institute can get very boring if the admin and teaching staff follow the same pattern for a long time. 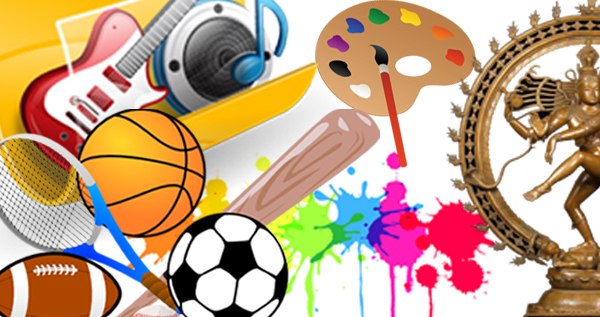 Arranging for various school activities from time to time has become a popular routine for many small and large scale schools across the world. Sometimes even parents are invited to the school to take part in various in-school activities. Events like these help keep the atmosphere healthy. Admin, teachers, parents and students can all enjoy gatherings like these which will not just save everybody from getting bored, but will also help keep the school popular.